The traditions of modern Halloween -- costumes, ghosts, trick-or-treat -- come from a number of ancient civilizations. According to the History website, most experts believe that this spooky holiday stems from the Celtic festival of Samhain. Some 2,000 years ago, the Celts celebrated their new year on Nov. 1. To them, this date symbolized death because it was the beginning of wintry darkness. Consequently, they believed that the border between life and death was softened on the night before the new year, Oct. 31, and that the spirits of the dead came back to Earth to destroy their crops and cause mischief. In response, the Celts wore animal-themed costumes and threw crops and animals into the raging bonfire to summon the protection of deities. In the 8th century, Pope Gregory III made Nov. 1 a holiday in which to remember saints and martyrs. This celebration, called All Saints' Day, included a few Samhain customs. The night before All Saints' Day, or All Hallows' Eve, eventually became Halloween. A pagan festival of the Dead and All Souls Day also contributed to modern Halloween customs. For instance, some believe that trick-or-treating probably stems from All Souls Day parades in England, where the poor would beg attendees for food. Today's Halloween is a time for children to dress up in spooky costumes and go to people's houses for candy and other treats or for adults to attend costumed parties. 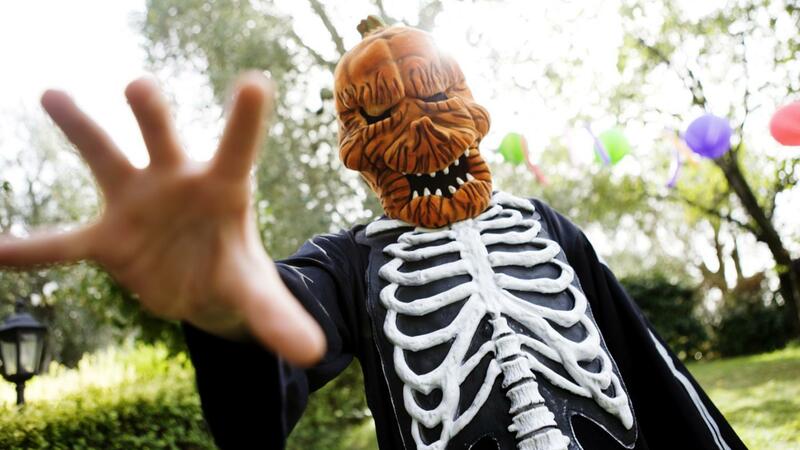 Why Do People Wear Costumes on Halloween? When Did Halloween Become a National Holiday? How Long Do Uncarved Pumpkins Last? Why Do People Dress up for Halloween? What Is the Night Before Halloween Called?